In order to reset your password if you have forgotten it or have never made one yet (In the case of Facebook login) you can do so by clicking the link below. This will allow you to create a new password for your standard profile or if you have created an account using the Facebook login, this will allow you to ALSO log in the traditional way. 11. Global search. Here you can search for posts, forums, users etc. 12. Messages tab to access your messages, compose messages, etc. 29. 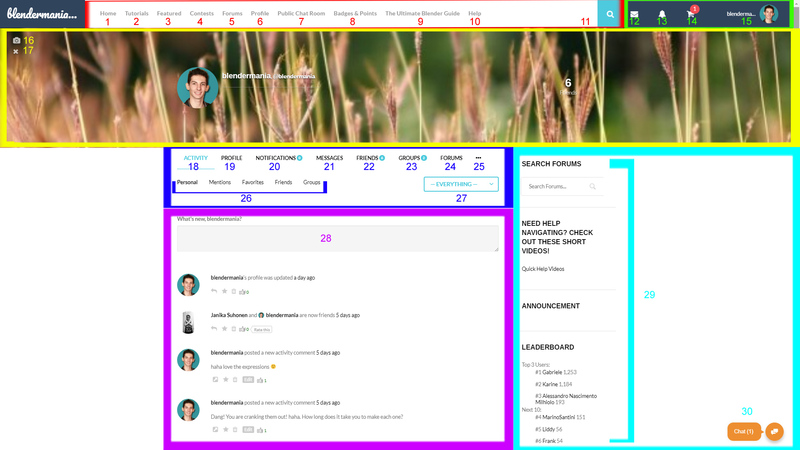 This is the widgets area where you can find different information such as highest ranked users, recently online users, search, etc.